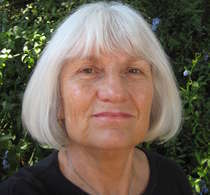 Gretchen Woelfle is the author of the new book for older kids Answering the Cry for Freedom: Stories of African Americans in theAmerican Revolution. 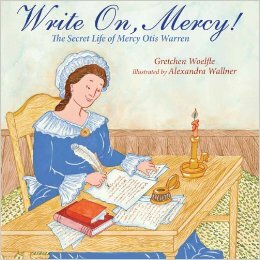 Her other books include Mumbet’s Declarationof Independence, Write On, Mercy!, and All the World’s A Stage. She lives in Los Angeles. Q: How did you come up with the idea for Answering the Cry for Freedom, and how did you pick the 13 people you profile in the book? A: Research can be a gift that keeps on giving. Delving into one subject often reveals all sorts of possibilities to me. One book can lead to another. That happened with Answering the Cry for Freedom: Stories of African Americans and the American Revolution. 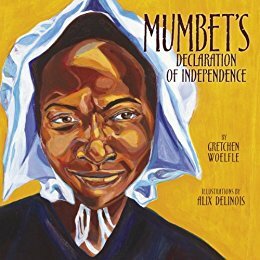 My last book, Mumbet’s Declaration of Independence, tells the story of Elizabeth “Mumbet” Freeman, an illiterate Massachusetts slave who sued her owner to gain her freedom in 1781. Her successful suit led to the abolition of slavery in the state in 1783. Researching African American Revolutionary era history for Mumbet, I found more people with amazing life stories. Some of these men and women I knew about. Others were unknown to me. Why not put them all into one book – the known and the unknown? It seemed like a good idea at the time. After seven years of research, writing, and revising I still think it was a good idea. In the middle of those seven years, I wasn’t always so sure! I chose to write about 13 men and women: enslaved and free, northern and southern, Patriot and Loyalist. My final choices were based on three criteria: they lived in the Revolutionary era, they were motivated by a quest for freedom and equality, and I could find enough historical evidence to tell a good story. Some of these men and women changed history. Others were known only to their family and neighbors. Q: What were some of the ways the people you write about "answered the cry for freedom" during and after the Revolutionary War? A: African Americans fought a parallel battle during the American Revolution. They supported either independence or British rule, but they also fought for their own freedom from slavery. Elementary and secondary history classes don’t reveal how the British freed Patriot slaves who escaped to them during the war. Twenty thousand men, women, and children answered that cry for freedom. Others joined the American Continental Army, hoping their service would bring them freedom. Sometimes it did, sometimes it didn’t. Some made agreements with their owners to earn money in their free time to buy their freedom. And many escaped to northern states, taking a chance that slave catchers wouldn’t find them. But freedom from slavery was just the beginning. African Americans wanted equality, and began to take political action and form independent churches to further their cause. Q: Your first chapter deals with Boston King. Why did you choose to begin with him, and what does his story say about African American life at the time of the Revolutionary War? 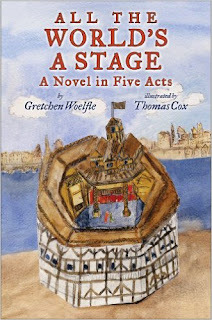 A: The book is organized into four parts. The first part presents the lives of three men who saw action on the battlefields. Agrippa Hull and James Armistead Lafayette fought with the Americans, and Boston King fought with the British. I wanted to present a story about the British emancipation right up front. So Boston King came first. Q: The last person you look at is Jarena Lee. Why did you end with her, and what do you see as her legacy? A: I had chosen a dozen subjects for the book. Then I discovered Jarena Lee and I couldn’t leave her out. First, she lived such an extraordinary life – traveling thousands of miles for three decades through the barely settled northern United States, fighting against sexist opposition, fulfilling her dream of preaching the gospel, and proving that women could succeed in a profession that men tried to deny them. Second, Lee’s story is unknown to young people. She is the youngest of my subjects and lived to see the early years of the women’s rights movement. A: I’m working on more biographies of little-known people. There are so many wonderful stories out there that have not been written for children. 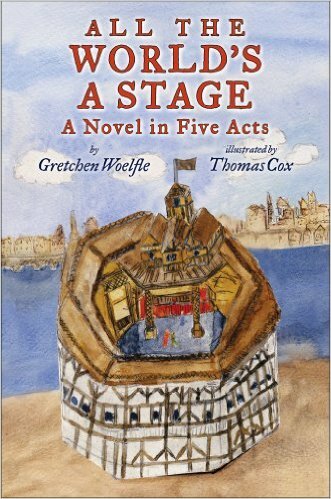 A: I’m thrilled to bits about Greg Christie’s stunning cover and illustrations for the book. I’ve long admired his work and feel privileged to work with him on Answering the Cry for Freedom. Early in the research phase, I took a field trip from Virginia to Philadelphia; western Massachusetts; Boston; Portsmouth, New Hampshire; and Shelburne, Nova Scotia to visit the places my 13 subjects lived. Stepping into the landscapes and homes, walking the streets of plantations, towns, and cities, I got a clearer sense of the lives my heroes lived. 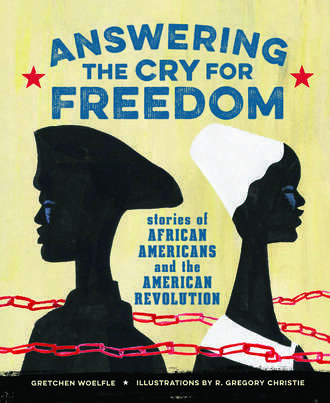 I hope that Answering the Cry for Freedom will encourage readers to look for more untold stories. History is full of them, but so are our own families and communities. Everyone has a story to tell.